Comfort, functionality and durability are just a few of the main aspects that our breakout and soft seating range focus on. 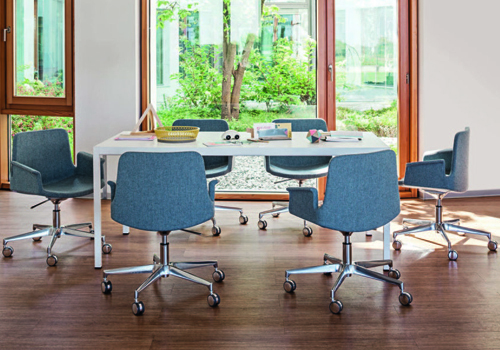 A wide range of different chair designs are offered to ensure you can find the right chair for different areas around the workplace such as breakout and visitor areas, meeting rooms and receptions. We source our high-quality furniture from some of Europe’s leading manufacturers to guarantee that you are getting the best possible chair within your price budget. 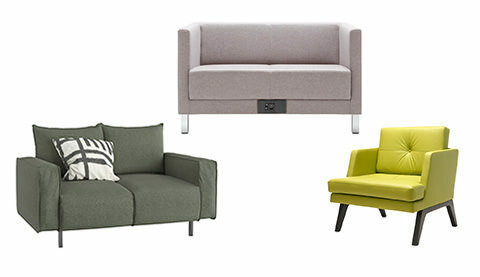 Our office breakout seating range offers a variety of different designs including lounge chairs, tub chairs, modern office sofas, modular seating systems and pouffes. The chairs are offered in bright coloured fabrics or traditional high-quality leather/faux leather designs to best suit your office décor. An array of the breakout soft seating chairs features generous deep cushioned seats and backrest in either a high back or a low back designs which offer high levels of comfort for its users. The diverse selection of chairs in our breakout and soft seating range is all offered with a warranty policy. This ensures the furniture’s functionality and durability during the stated time period. To further assure all of the chairs capabilities, all the furniture in this range have been rigorously tested to make sure it meets the highest quality standard suitable for home and office use. 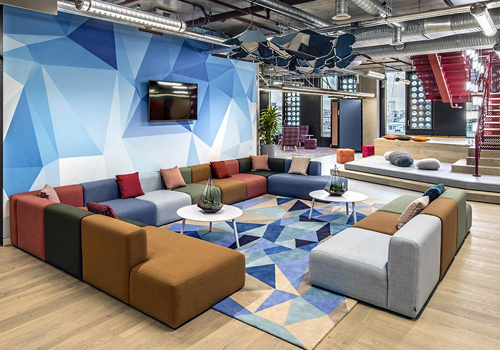 The Breakout area is where employees go to get away from the hustle and bustle of a busy day at their desk, so it is very important to provide the right seats for them to unwind and relax and clear their heads. Choose from our range of deep cushioned seat sofas with foam padded backrest is high or low back design for your hard-working employees to sink in to. The office sofas designs are offered in many sizes including single seaters, 2 or 3 – seater couches and modular sofas to best suit your space. Provide additional comfort and incorporate some funky and stylish pouffes in your breakout area which can be used in many ways. Your employees can kick back and relax by using these pouffes are footrests. 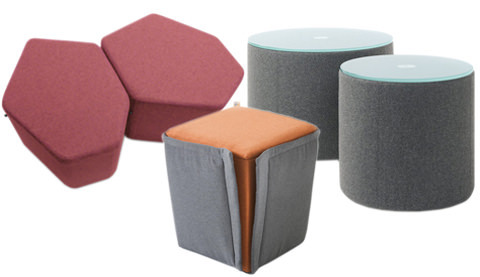 A variety of pouffes can be coupled together to form one large seat for groups or you can add a glass top to your pouffes and use them as a table to place food and beverages during the break. 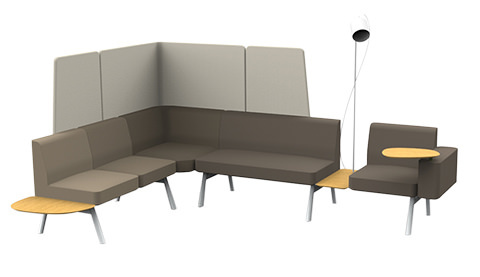 Provide some privacy during the break by adding some seating pods into your breakout area. These acoustic office pods feature an innovative noise-cancelling design and are offered with highly comfortable deep foam materials to provide a relaxing time. The reception area is where your visitors will tend to be first when they visit your office. 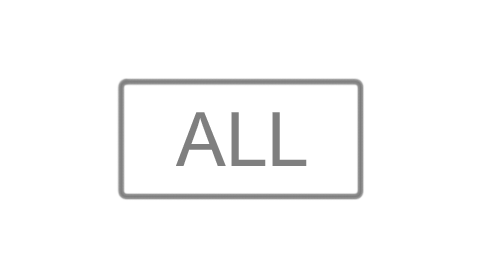 This is also an area where there could be multiple numbers of people at a time. It is important to provide comfy seats whilst also catering for the amount of space your area has to offer. 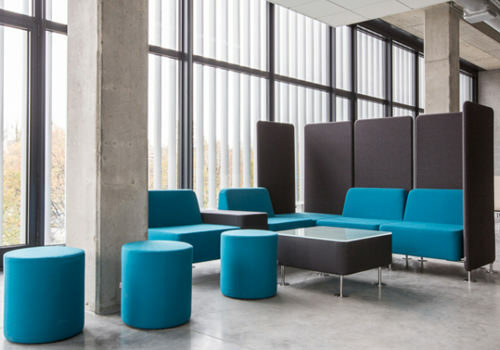 Modular office seating units are perfect for reception areas. Some of our units are comprised of elements including a table, bench, shelf and sofas which can be combined and shaped in various ways to create a stylish, comfortable and functional waiting room area. Our modular range can also be added with pouffes. The design is a cost-effective alternative, allowing you to easily change the layout of your space for a refreshing new look whenever you please. A chair that offers stylish, professional and comforting qualities are perfect for meeting rooms, boardrooms or an executive office. Choose from our range of tub and lounge chairs which provide all of those three qualities. The leather office tub chairs in high or low back designs give your space a professional look. 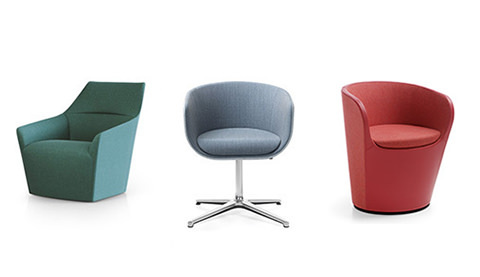 We also have vibrant coloured lounge chairs if you are looking to combine a pop of colour and comfort your space. Choose from ultra-comfortable lounge chairs and tub with high backrest and armrests to provide high levels of support for its users. A variety of the lounge and tub chairs boasts deep foam padded seats and are offered in many different base finishes to best complement your office décor. If you’d like to find out more about our range of Breakout and Soft Seating or discuss your requirements, simply request a callback.